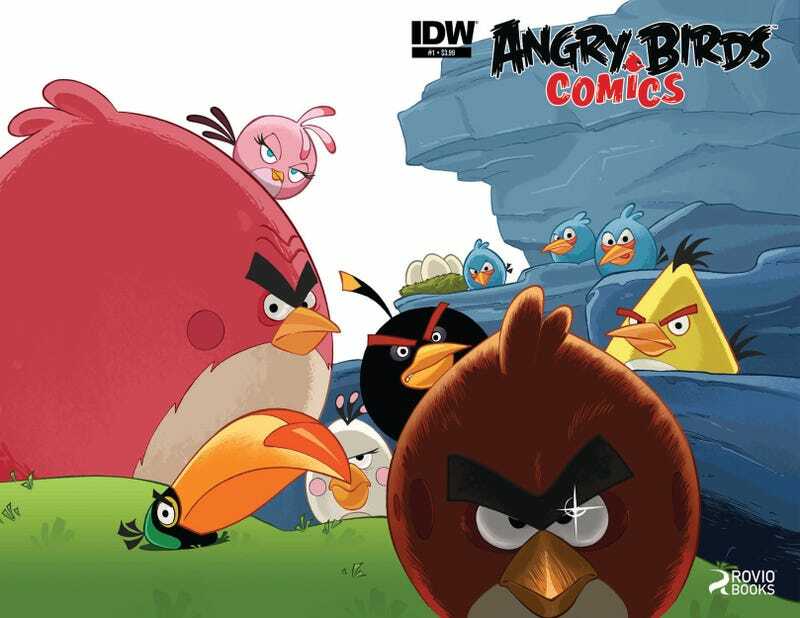 ​Wait, There Weren't Angry Birds Comics Already? It's easy to tune out just how much Angry Birds-branded merchandise there is floating out there in the world. Everywhere you look, there's some food/toy/clothing item festooned with the likeness of Rovio's super-ubiquitous characters on it. So, it's really surprising that there haven't been any Angry Birds comic books in print yet. That changes with a new series coming this summer. Going with IDW instead of a bigger outfit like Marvel or DC makes sense as the publisher has shown a deft hand with licensed properties, as seen with the strong success of its My Little Pony comics. Angry Birds Comics is also the kind of project I'd imagine comics creators would line up to work on, at least the ones with kids who are obsessed with the games. There's no mention of a digital edition in the press release but it'd be very odd to have this series be limited to print only.